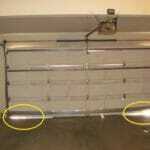 Home » Interior » Garage » Post Tension Sign Stamped in Garage Floor: What Does It Mean? 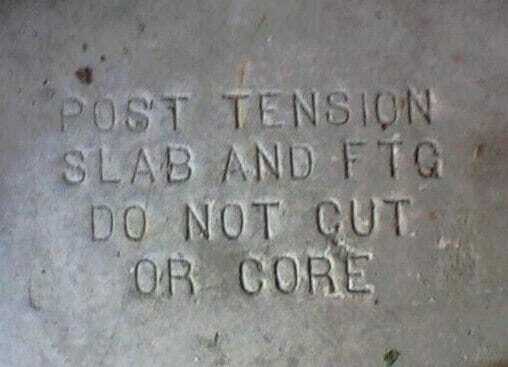 What is a post tension slab? 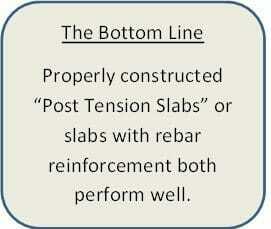 Older homes may have neither rebar nor post tension cables in the slabs. 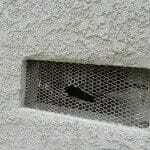 When a home does not have reinforcing rebar or a post tension slab, then the concrete tends to crack a little more than if reinforced. 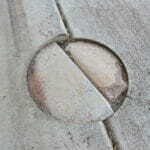 The cracks that occur may have one side higher than the other and the cracks may be wider than those in reinforced slabs. 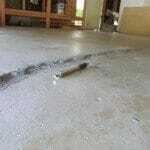 Homes without reinforced slabs also tend to have more cracks in the concrete and in any tile floors. 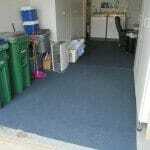 Putting a slip sheet under the tile floor when installed will help to reduce the cracking. 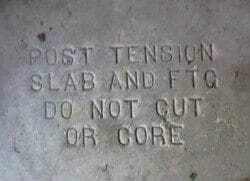 Post tension reinforced concrete slabs can often be identified by a sign stamped in the concrete garage floor or by a plastic warning sign placed on the garage wall. 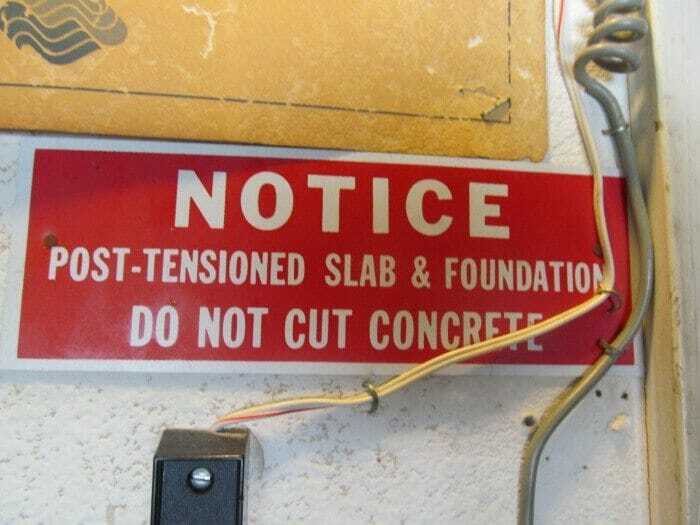 The reason for the warning sign is to alert the owner not to cut or drill into the concrete without having a professional contractor do the cutting or drilling – it’s a safety thing, because if one cuts a post tension cable, it may whip upward and injure the person. 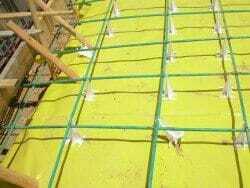 From a structural standpoint, a reinforced concrete slab or a post tension slab, is better than a non-reinforced slab, however, families live quite happily in homes that are built either way. 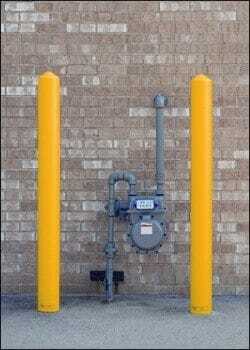 If a car can hit or back into a gas meter, then protection by bollards will help.